For this giveaway I'm featuring the work of the lovely, Miss Lia Habel. Lia lives in the creepy part of New York. No, not the West Side. The OTHER part of the state. Ya know, where the cows, abandoned barns, and banjo toting hillbillies are. (I'm just kidding, I have family out there, so there's no hate) Anyway, the point is: Lia is not a banjo toting hillbilly. She's actually pretty darn cool. Lia is one of those secret treasure type people. She looks sweet and demure...Until you get to know her. And then she only gets better. She's my resident zombie expert, has more wigs than Cthulhu has tentacles, and is a highly respected fellow geek. Plus, the girl writes a rockin' novel. Lia has sent me both a hardcover edition and an audiobook of her novel, Dearly, Departed. They are AUTOGRAPHED! PLUS, she sent me some fun swag! 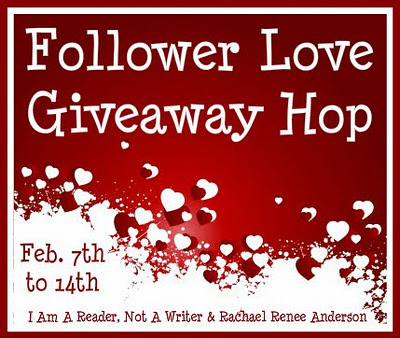 The contest for Lia's gifts will be featured in the Follower Love Giveaway Hop running from February 7-February 14, so please make sure you stop back here and enter yourself in a chance to see why love conquers all! 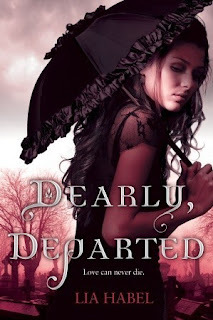 Dearly, Departed: Love conquers all, so they say. But can Cupid’s arrow pierce the hearts of the living and the dead—or rather, the undead? Can a proper young Victorian lady find true love in the arms of a dashing zombie? Read reviews on Goodreads. Can't wait to buy it? Go get it on Amazon or Barnes and Noble. Enter the giveaway using Rafflecopter. This hop runs from 2/7/12 to 2/14/12. Hit the green "Do It" buttons, follow the prompts, and hit the green enter buttons when you're done. (You may have to log in using facebook to do this). There will be two winners for this giveaway, the first entrant will be able to choose which of the two books they would like and the second will get the remaining book. Should the second winner decide they do not want the remaining book, they can bow out and allow another winner to be selected. This contest is open to international entrants. There are a ton of other blogs/pages that are hosting giveaways! Please stop by and see them! Thanks for theh giveaway! 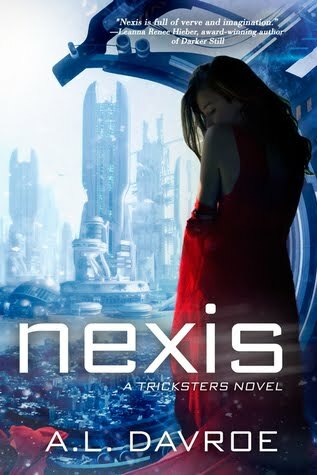 It's been on my TBR list for a long time now!